Proper built in oven installationservices save you from trouble, ensure avoidance of energy loss, and help the appliance to operate better for longer. We have just the right team at our Appliance Repair company in Vancouver for both installation and repair needs. When it comes to ovens, we can assure all customers that the skills of our technicians will exceed their expectations. Not only are we experienced with classic oven lines but also of the most modern ones in British Columbia. Everyone is trained well in our team to service all types of ovens and that’s why you can depend on us for regular oven and microwave oven repair services. We provide oven service as fast as we can. Our company is equipped and powerful enough to offer same day Oven Repair in Vancouver. When there are problems with the way the oven works, the gasket is damaged or you are under the impression that you are losing energy due to oven problems, give us a call. Our professionals have expertise in ovens of all types and all services related to them. 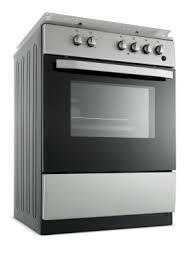 We can inspect them thoroughly, fix their problems and also offer oven installation. Oven repairs are performed with diligence. We might have the experience but we take pride for being meticulous when we check, troubleshoot and fix ovens. We like to keep our customers in Vancouver happy and let them enjoy the merits of a functional oven. That’s why we focus and respond fast. Since we can fix small appliances, we also repair microwaves. Since we are experts in all ovens, we also guarantee outstanding gas oven repair, too. Nothing compares with the commitment of our professionals and that’s why the quality of our work exceeds your demands. The expertise of our Vancouver Oven Repair specialists is ensured and so is their accuracy.